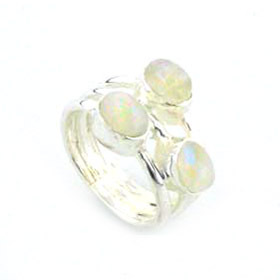 Rainbow moonstone and sterling silver hoop earrings. 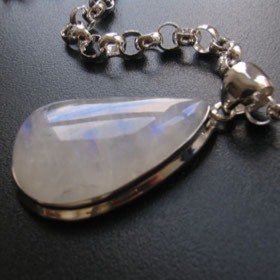 Stylish, elegant and a lovely twist on the plain hoop earring, these moonstone earrings are a joy to wear. 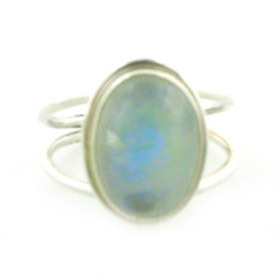 The sterling silver hoop is plain, beautifully curved and set with an oval moonstone. 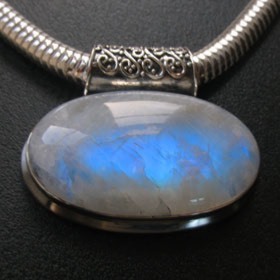 The moonstone has the characteristic floating blue light within the stone. 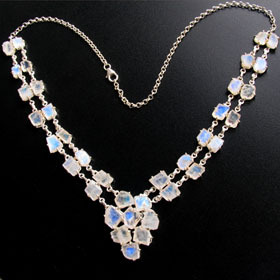 The earrings fasten in your ear with a post and butterfly fastening. 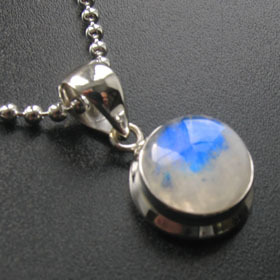 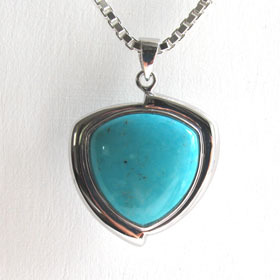 Moonstone Jewellery is June Birthstone Jewellery.